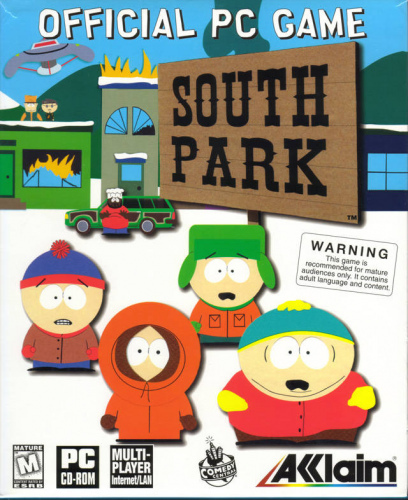 A patch (presumably unofficial) that allows the 1999 South Park game by Acclaim to use a Glide renderer, and in turn allow to be upscaled by nGlide. See installation instructions at the PCGamingWiki article for this game. Downloaded from http://www.zeus-software.com/downloads/nglide/compatibility. 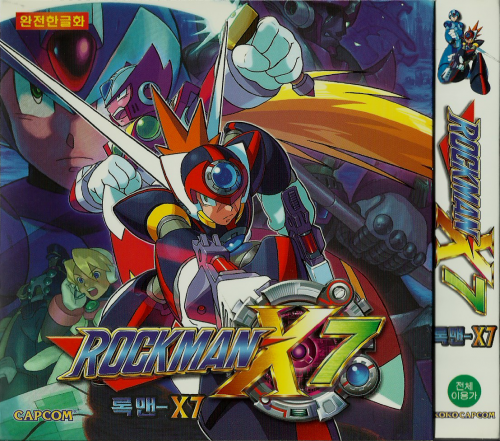 This is a patch issued by KOKOCapcom, Capcom's Korean branch, to update Rockman X7 to version 1.02. I do not know what precisely this patch fixes. This file was downloaded from https://www.interordi.com/mega_man_pc/downloads/ and hosted here for convenience's sake. SkyNET Unofficial Patch 2017 SkyNET (aka The Terminator: SkyNET) is Bethesda's 1996 sequel to The Terminator: Future Shock, a Quake-like game set in the Terminator universe. This is an all-in-one patch which includes every known fix and improvement for the game. This patch: Updates the game to v1.01. Allows for playing entirely from the hard drive. Starts the game with 640x480 (SVGA) mode enabled. Fixes crashes at the start of gameplay (aka the "SVGA fix"). Fixes crashes when entering buildings (aka the "door fix"). Credit to ripsaw8080. Extends the visual range (so that structures and objects are visible from farther away). Credit to WERTA & Corak. Corrects the night sky color from blue to black (as it was in Future Shock). Credit to WERTA & Corak. Includes an INSTALL.DAT to aid users in setting up the game and adding Future Shock. The following screenshots demonstrate the two visual improvements: extended visual range and sky color correction. (What the left image can't show is that buildings and other objects suddenly appear in the distance as you approach. In overlay mode, they gradually fade in from black. It may see too dark here, but it should look better in the game.) To apply/install: 1. Copy these files and folders to your SkyNET game folder, overwriting the ones there. 2. If using DOSBox: * Set output=overlay in your .conf file. This gives the best appearance with the extended visual range because it's slightly darker than other modes, greatly helping distant objects to gradually appear out of the shadows. * Make sure that DOSBox is v0.74 or a recent SVN build. Pre-0.74 versions and older SVN builds may have very poor performance or crash in 640x480 mode. Future Shock: To play Future Shock (SkyNET's 1995 predecessor) in SkyNET's 640x480 mode and with the extended visual range, copy or install it to SkyNET's new SHOCK folder, then run SkyNET, choose New Game and select Future Shock. If you prefer to keep it elsewhere, edit the "fspath" line in INSTALL.DAT accordingly. SkyNET install tip: To do a full installation of SkyNET to the hard drive, copy the SKYNET folder from the CD, copy this patch over it and run SETUP.EXE to configure your sound drivers. That eliminates having to mount the CD in DOSBox and go through the installation program, after which you still would've had to copy the SKYNET folder, since even the largest installation option leaves most of it on the CD. 320x200 mode: To start SkyNET in 320x200 mode, run GAME.EXE instead of SKYNET.EXE. 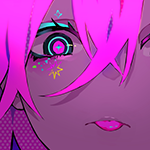 GAME.EXE is the actual patched game executable (formerly SKYNET.EXE) which starts in 320x200 mode by default and SKYNET.EXE is a new launcher which tells it to run in 640x480, instead, so that you don't have to change the resolution to 640x480 every time that you start the game. Blue sky: If you prefer to keep the original blue sky, don't copy GAMEDATA\MDMDIMGS.BSA. Be aware, though, that Future Shock's sky color was black, so Future Shock won't look as it originally did if you play it through SkyNET. Menu mouse bug: After dismissing the intro, if the main menu options are unresponsive to clicks, simply RIGHT click anywhere to fix it. This isn't a bug in this patch, but with this game and DOSBox's overlay mode. You may experience it only now because overlay mode is recommended for this patch (because of how much more nicely objects fade in from the shadows in it). Rather than change modes to avoid the bug, it's recommended that you work around it by right-clicking... or simply rename GAMEDATA\OPENING.VID to disable the intro, so that you don't have to dismiss it and encounter the bug. Credits: ripsaw8080 @ vogons.org (door fix) WERTA & Corak @ old-games. ** (extended visual range and sky color fix) Bethesda SoftworksÂ® LLC Â© 1996 (game) SkyNET and The Terminator: Future Shock are the property of Bethesda SoftworksÂ® LLC. This patch is not made, offered or supported by Bethesda Softworks. Instructions Download the archive and extract the files into the main installation folder. Download Borderless Gaming in order to play the game in a Borderless fulllscreen windowed mode. Custom resolutions have to be set through the resolution.ini file, which can be found in the ReleaseExe folder. Playing in Fullscreen and Restoring the Intro Set Windowed to 0 in order to play in fullscreen instead, through the resolution.ini file located in the ReleaseExe folder. The intro is disabled. Follow these instructions. Use StartupState=0 instead. Description A patch for the English version of the game which includes the bonus content and other official changes. If another language is being used then delete the Language folder located in DynamicResources\Custom\Language to play in the native language. Article: Evil Genius Changelog Fixed the Henchmen damage issue against Super Agents on harder difficulties. Fixed an issue with Henchmen and Minions being almost invincible on Easy due to the default incorrect armor values. Fixed an issue with the Big Screen which caused any agents standing near it to be buffed by it. Fixed an issue which caused Agents and such to clip through the Desert House. Fixed an issue with the Do Not Touch trap not playing any animations after being triggered by an Agent. Fixed the Mantrap, the Monkey Tree and the loot paintings casting incorrect shadows. Fixed bodyguards not being affected by Evil Geniuses. Bodyguards will also be healed when the Evil Genius is executing minions. Fixed a bug with the equipment storage rack consuming one unit of power. Fixed a placeholder description for the mantrap skill. Changed the AOI title for the Hunter to something less out of place. Merged all fixes from the official patches. The bonus content has been added. Added most tweaks from the PCGamingWiki page. The debug console can be activated by pushing CTRL+D by default, then opened by pushing the slash or tilde key. Bound the screenshots key to F11, in order to no longer conflict with the default Steam screenshots binding. Widescreen resolutions can be set through the resolution.ini file in the ReleaseExe folder. The Steam and GOG versions of FlatOut are the v1.0 version. This is the v1.1 patch for FlatOut that works with the digital releases of the game: Steam & GOG. Originally posted by Clya900, the patch was missing 2 files are now included in this download, patch1.bfs, and patch.ini. Without these files, the game would fail to load, and shows a Runtime error. The game now has been tested on the Steam version, and works perfectly fine, however the GOG is untested, but should work just as well. Original patch notes below: FlatOut PC patch v1.1 2004-Dec-10 To install the patch: Copy the Flatout.exe, patch1.bfs and patch.ini files to the root of the install folder (by default this is c:\program files\empire interactive\flatout) and run the game. The following items have been fixed or improved: * Fix for the nVidia 66.93 drivers. The game no longer crashes when a race is started. The game has also been tested up to the 67.03 drivers with no problems found. * Engine fire burns aligned to the car's coordinates, e.g. when the car is upside down, flames go down. * Tuning menu: BHP meter and colors randomly switch when changing profile. * Flip back and forth to statistics screen and the BHP grows bug. * Force feedback slows game in some cases. * 5.1 sound support is not working on some setups. * Disconnects when returning to the lobby in multiplayer games. * When the game briefly minimizes before starting a multiplayer game, sometimes gives a blue screen (this is quite rare, but it does happen sometimes) * Only 2 players can play if NetLimiter is installed. * Bug with public ip detection, if the commandline network options are used. * Enabled a switch to allow the player to turn off ragdoll in single player (located in the Options Menu). * Enabled multiplayer destruction derby. This patch fixes an issue in Fallout Tactics that causes items to disappear from the inventory. Only use this patch if you experience items disappearing. This is the official 1005 NA Patch from softlab-nsk. Simply extract and copy it into your hard truck 2 install directory. Fixes a crash on startup on mesa drivers(linux), apply with bspatch [original_executable] [patched_file_to_create] [provided_patch_file].